I have a birthday weekend ahead of me, so unlikely to spend much time actually creating any new content or materials. However, that’s not to say that I haven’t been at work on some level or another. I have ordered proof copies of a couple of format styles for The Cthulhu Hack book with the aim of having these available at UK Games Expo. While I will be running games in the mornings, I will be on the All Rolled Up booth upon X-Wing Avenue in the afternoons – and you should, I hope, have the chance to pick up a copy from there. 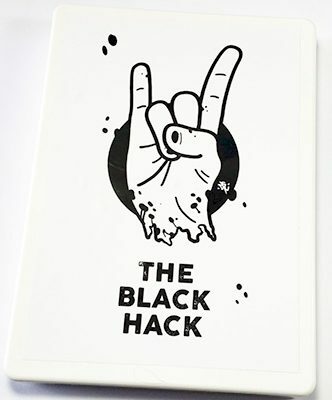 On that sort of level, I’m left wondering whether a Kickstarter (a small one) would be the way to go for a more satisfying print-run of the Hack. I have to say The Black Hack that Peter Regan pulled together made for such a satisfying package, booklets, screen and all. That’s the reason that I have taken such pleasure in ‘blinging the kit’ out further, with carry box, dice bag and so forth, when taking the game out on the road to events. Whatever the case, I have a set of Hacked screen inserts in mind and something similar to Sorrowset, which makes perfect sense for The Cthulhu Hack. I mean, Dunwich would probably be the way to go, with more than a hint of fish in the air.